On February 28, United Way of South Texas recognized John W. Herrera from Magic Valley Electric Cooperative as the South Texas Hero during its Volunteer & Company Awards Ceremony. The South Texas Hero Award is presented to an individual that demonstrates commitment and leadership in the community through extraordinary engagement in year-round service projects. The award was established in 2008, in honor of Ray Alexander, retired General Manager of KRGV TV 5. He was instrumental in leading and strengthening collaborations between United Way of South Texas and other non-profits. He also played an important role in establishing the Rio Grande Valley’s “211” Information and Referral program. Herrera graduated from the University of Texas at Austin and began his career in Houston. After four years, he returned to the Rio Grande Valley and worked with the Public Utilities Board of Brownsville before joining Magic Valley Electric Cooperative (MVEC). In 2002, Herrera became General Manager of MVEC and has held that position since then. He is an outstanding Pillar of our community and the Rio Grande Valley. Some examples of his involvement include his service on the Teach for America Advisory Board and on the Boys Scouts of America Rio Grande Council Board, Past President. 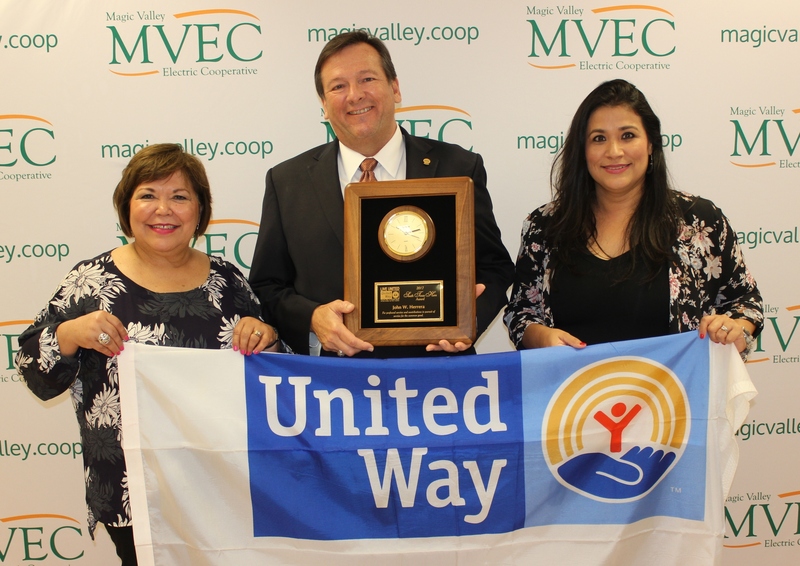 Throughout his career at MVEC, Herrera has always been a champion of United Way. He annually supports United Way’s Volunteer Income Tax Assistance (VITA) services, Day of Caring and Loaned Executive programs. In 2017, MVEC employees had one of the most successful United Way workplace campaigns—a 54% increase from the previous year. United Way is fortunate to have a supporter and South Texas Hero like Herrera. He currently resides in Brownsville with his wife, Pilar, and has two children, John Lawrence and Laura Pilar. Former South Texas Hero recipients include Dr. Marla Guerra, South Texas ISD; Adrian Villarreal, IBC; Jim Deuser, RGV Community Foundation; Jeanette Ahlenius, Wayland Baptist University; and Lee Jones, AEP Texas. United Way of South Texas supports over 21 non-profit agencies in our community that serve a minimum of 265,000 local residents. Services supported by United Way of South Texas include emergency shelter, family violence counseling, character building programs, child victim advocacy and infant stimulation classes. Please call 686-6331 or visit us at www.unitedwayofsotx.org or www.voluntersotx.org, if you are interested in getting your company involved with the 2018 Campaign or in volunteering today.